Oak via trade with chi - Jachai Polite /de-lb/ Florida - Best pass rusher left and maybe best in the draft. We need to get faster on the edge and after missing on josh and bosa we get the next best bender. 27. Oak- Andre Dillard /ot/ wash st. -since Carr is the guy at least for another year we go get more protection. Dillard is as good as they come and will be a rock on the oline. Best man gets LT 2nd best at rt. Taylor Rapp / s / Washington - bigger safety who can help with te’s and allow kJ to continue to play center field. Andy Isabella / wr/ umass -shifty slot guy who can work the underneath and get open. He’s short so Carr might mistake him for a rb and get 100 targets. Steven coutts/ p/ cal -not happy with our punter. I know it adds up on the chart. But if i am dropping back to 15. And only picked up an extra 2nd 3rd and 4th thats not good value. I would want a future 1st somewhere in there while coming away with an 2nd and 3rd this year. At 15 i would take Ferrell. I love Bush but i think Bush will drop due to his size and will be available at 27. I would take DeAndre Baker or Greedy Williams at 24. Like Grier and OT in the 3rd. Just tryna keep it realistic with the trade. After being robbed last few years in trades I think getting a 2nd and 2 (3rds) to move down 11 spots is worth it especially when the big 3 (bosa, q will and josh) are gone. After the big 3 who else would you pick at 4? Love your trade down but would take Ferrell easily at 15 if he's there. I'm 65% sure Devin Bush can be had at 24. I like the overall approach. My main qualms would be the status if the WR and RB position. WR just seems to be a reliance on a lot of average FA guys. Although I love Isabella and Doss in the draft. And RB puts a lot on a rookie RB without much depth beyond Richard who's not an every down back. Less important: Fluker is unnecessary imo if we resign Good. I assume Felciano walks here so a backup center is needed. All in all though nice work. 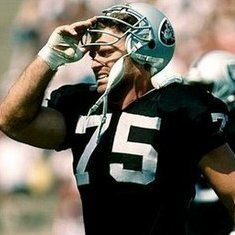 With regard to the pass rushers NCough I do like them as individual players but aside from Preston Smith (who probably will fit nicely at DE) they all seem like pass rushing LBs to me perfect for a 3-4 or a 5-2 defence like we ran sporadically a few years ago with Mack and Irvin on the edges. I'm not sure guys like Rey, Polite, Golden and Winovich really are what Paul Guenther is looking for in a DE judging by what he had and used in Cinci. That's not to say I don't like them as players - I like them all! If we're going 3-4 then I'm all on board, though it seems like a logjam with all those guys and Key, Calhoun, and Cowser already on the roster. I do like the WRs in Isabella, Doss and Moncrief and we do need to provide Carr with help. It's definitely outside the box and fun to speculate but I can't see us really doing something like this! I hear you and fa and the draft is kinda mediocre at wr this year. rather have a log jam and cut guys then have to get guys off the street to start mid season like kony.